Is being a fashion blogger the ultimate dream job? Patricia Bright gives us a sneak peek into her daily routine so we can judge for ourselves. This short film offers an intimate look at a day-in-the-life of Patricia; entrepreneur, mother, photographer, editor and writer. The film reminds us that modern jobs come in all different shapes and sizes, and sometimes there’s not a desk in sight. As you might imagine, a full-time blogger needs an excellent smartphone with the best camera possible. Cue the HUAWEI Mate 10, packed full of features that make a busy job feel like a breeze. The New Dual Lens camera, co-engineered with Leica, has a 1.6/f aperture and a host of AI-powered tools designed to help you get amazing shots every time. Patricia’s toddler makes sure her day starts bright and early, with crackers and cuddles in bed. Then there’s breakfast and family time before Patricia begins her own routine. With a varied schedule Patricia has to be ready for just about anything, including being constantly on the go. 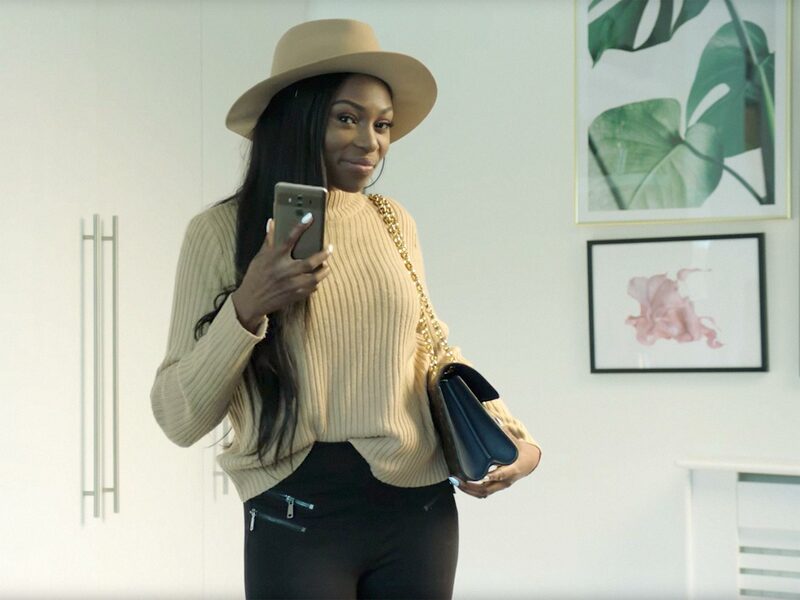 Her smartphone is literally her mobile office, so the HUAWEI Mate 10’s 4000mAh battery with smart power management capabilities are essential. Patricia might have to dash off to a fashion show at a moment’s notice, and she’ll be needing a smartphone camera that can take crystal clear photographs in low-light and blur-free shots of models striding down the catwalk. Super handy when you can’t predict what the lighting will be like at your next trendy location. The HUAWEI Mate 10’s Leica Dual Lens Camera not only takes beautiful shallow depth of field pictures, but also automatically shifts the focal point onto the subject of the photograph – known as Bokeh effect – for picture perfect portraits and selfies. Surely the lifeblood of any fashion blogger! Click here to learn more about the HUAWEI Mate 10 and all its fabulous features. Spoiler alert: Yes, it is the ultimate dream job.